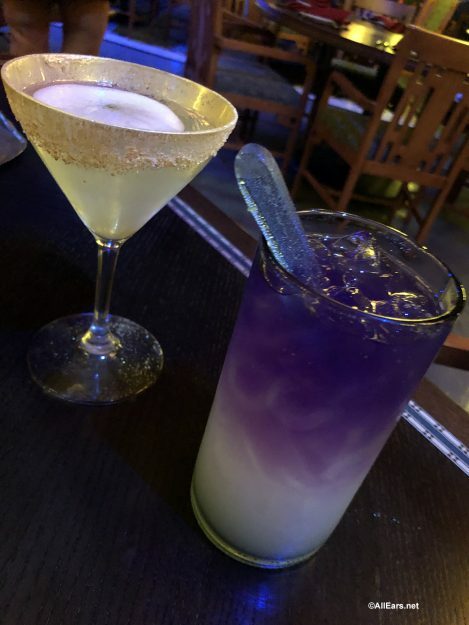 Disney often comes out with really fun themed drinks. 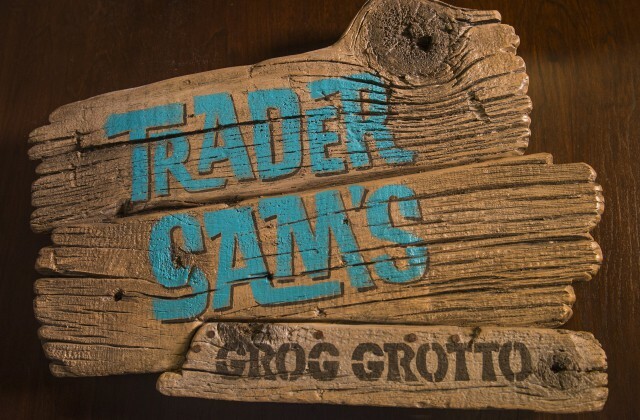 From ‘LeFou’s Brew’ at Gaston’s Tavern in the Magic Kingdom to the Nautilus at Trader Sam’s Grog Grotto, there’s a beverage to suit every taste… and every theme! With that being said, we have thought of at least 20 more that could easily be added to Disney’s themed specialty beverage list! This one is pretty simple. Just a yummy blue slushy to recall Queen Elsa’s icy blue dress. We’d sell it at the Norway pavilion in Epcot or possibly in Fantasyland. We see this Pixie Dust Potion as a frozen lemonade with some sort of edible sparkles on top. This drink could be served at Hollywood Studios — probably at Oga’s Cantina in the new Star Wars: Galaxy’s Edge — and could be served in red, green, and purple, just like the famous light sabers themselves. The Pop Rocks will give it that extra spark! I know that there are a few new and really awesome Snow White-themed drinks being served at Artist Point at Disney’s Wilderness Lodge. I think this one could be served at The Friar’s Nook across from Seven Dwarfs Mine Train in Fantasyland. This could be a mixed drink of different tropical flavors and could be sold as a cocktail or a mocktail! 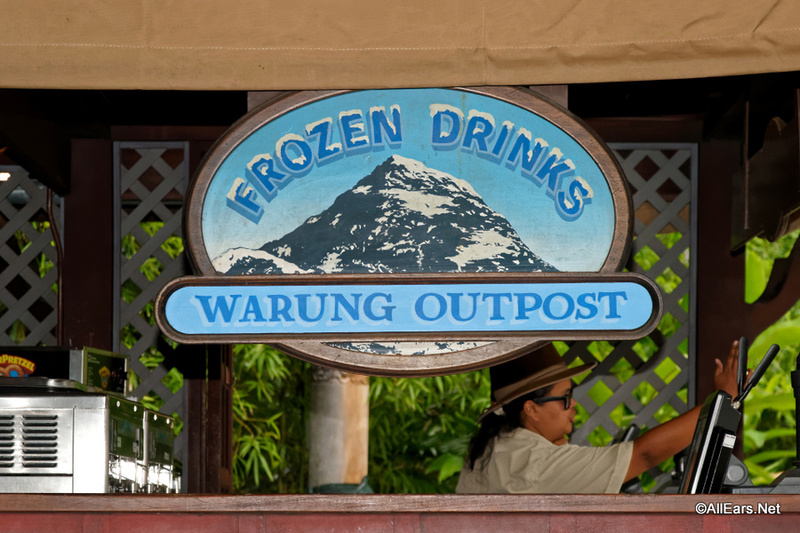 Of course, it would be served in either Adventureland or maybe even in Animal Kingdom’s Africa. This drink could easily be served as a mocktail hot toddy at Cheshire Cafe or at any quick service location in Fantasyland. It could also be served as an actual cocktail at The Grand Floridian. This idea is simple but super cute. 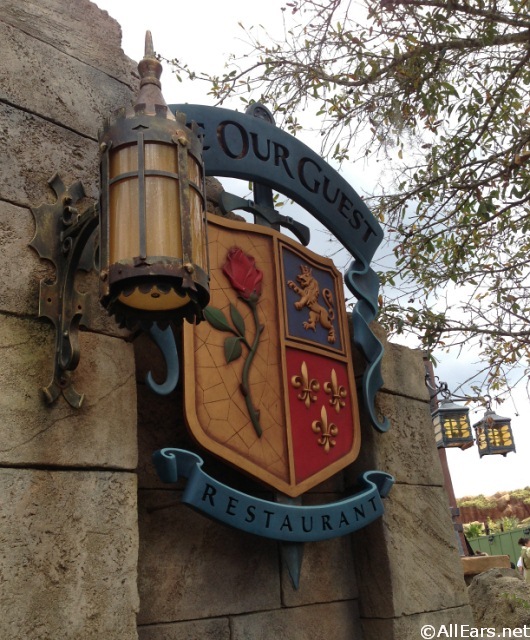 We’d like to see it served in a souvenir tea cup at Be Our Guest Restaurant in Fantasyland. This drink could also be served in a really cute souvenir cup that looks like Cinderella’s pumpkin carriage. We envision it being sold during Mickey’s Not-So-Scary Halloween parties. It would be some sort of pumpkin-spiced beverage! This fresh and fruity punch should be served at Epcot once the new Guardians of the Galaxy attraction opens. We think it would make a perfect pick-me-up on a hot day for kiddos and parents! This drink could easily be sold at Disney California Adventure, perfect for anyone who has dreamed of having super powers like Spider-Man. It could be a red and blue strawberry-blueberry smoothie! Sounds yummy, doesn’t it? 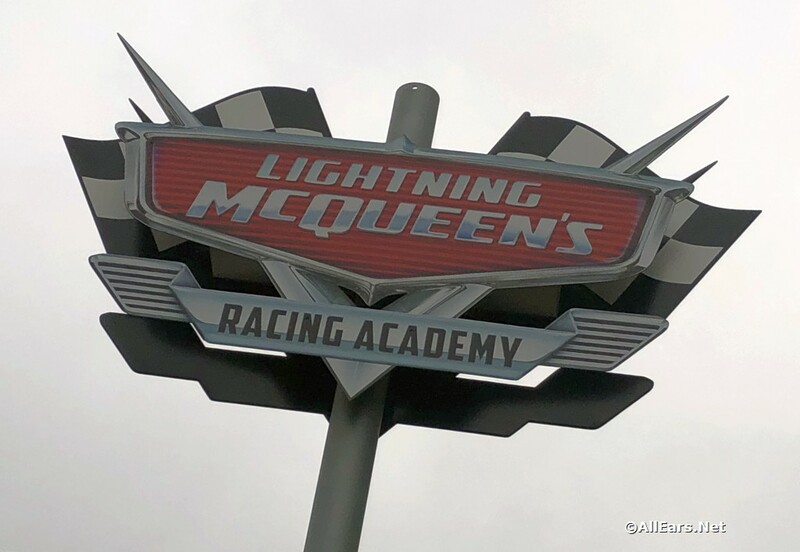 This would be perfect in Cars Land or at Hollywood Studios near the new Lightning McQueen’s Racing Academy show. This drink could be a simple fruity mix perfect for kids or a frozen apple juice kind of like ‘LeFou’s Brew’ at Gaston’s in Fantasyland at Disney World. This could be a really cool green drink served in Adventureland. Maybe it could come with a glowing ice cube! This could be at Trader Sam’s or a seasonal drink at resorts, or maybe even at the Coral Reef in Epcot. The margarita would be served with a dinglehopper stir stick or straw. Sadly this can’t be served in Adventureland unless it is a mocktail, but it’s another drink that might be a fun Trader Sam’s addition, or maybe Jock Lindsey’s Hangar Bar at Disney Springs. 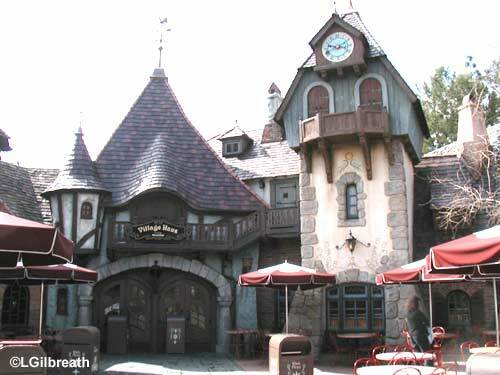 The drink would use banana flavored rum… since that is totally what we smell when riding Pirates of the Caribbean. This could easily be sold all over the parks and could even have a fun souvenir option that incorporates the Fab Five! The colors will be red for Mickey Mouse. Pink for Minnie Mouse. Blue for Donald Duck. Yellow for Pluto. Green for Goofy. This drink could be sold at Pinocchio Village Haus. It could be another fun kiddy juice option! This will be a Big Thunder Mountain themed drink and could be served at a few quick service locations in Frontierland, including Pecos Bill Tall Tale Inn. This drink should include big and overwhelming flavors. I’m thinking something sour! Another one that could glow in the dark, this drink would be so fun for Mickey’s Halloween parties! Served in a souvenir doom buggy, this drink would be such a fun find for Haunted Mansion lovers. This drink will be a tea served with a DROP of lemonade. It will be an Arnold Palmer-type beverage and can be served at Hollywood Studios as both a cocktail and mocktail! This coffee will help you on your expedition up Mt. Everest. We’re thinking a coconut-flavored coffee that is perfect to grab before hopping in line for Expedition Everest. Do you have any ideas for fun drinks that could be served around the Disney theme parks? If so, let us know in the comments below! You can find recipes for some already EXISTING drinks in our extensive recipe collection here! Previous PostPrevious Mickey’s PhilharMagic heads to Disney California Adventure Park! Next PostNext New Avengers: Endgame Posters and Featurette Released! The emphasis is that many WDW fans enjoy an adult beverage now and then and adult beverages are sold in the parks. And it is fun to drink themed drinks. It’s all right there. disney has no problem promoting drinking,but if i as a smoker want to stop in a smoking area to have a smoke out of site of children now they want to remove it! this will cause people to walk around the park smoking just as they walk around drinking! how would drinkers like it if disney said now you have to leave the park to have a drink! Warning! All of the smokers having a meltdown on the smoking ban and equating smoking as less troublesome than alcohol in the parks, will not see the humor on this article. I actually meant the over-emphasis by Allears, not Disney Parks. Sorry to be unclear. I do see the need for a ‘stiff’ drink as, reading replies from smokers, their world is about to end. Ain’t that the truth! Cheers. And JP, you don’t ever have to apologize to me for expressing your thoughts.